The central idea of Intelligent Design theory is that design is empirically detectable, just as the detectability of design in man-made objects is straightforward, non-controversial, and often intuitive (see: design detection). With respect to the origin and development of cosmological and biological systems, Intelligent Design theory holds that the same principles provide a logical inference of design in nature. That is, without necessarily "proving" actual intelligent design in nature, the observable material evidence provides a reasonable basis from which to infer design, and such an inference supports a legitimate scientific hypothesis of intelligent design. As such, Intelligent Design theory is a scientific disagreement with the core claim of materialistic theories of evolution such as chemical and Darwinian evolution  that the design exhibited in our universe is merely apparent design, i.e., unintelligent design caused by unguided, purposeless, natural forces of physics and chemistry alone. In a broader sense, Intelligent Design is simply the science of design detection—how to recognize patterns arranged by an intelligent cause for a purpose. Design detection is used in a number of scientific fields, including anthropology, archeology, forensic sciences, cryptanalysis and the search for extraterrestrial intelligence (SETI). An inference that certain cosmological and biological features of the natural world may be the product of an intelligent cause can be tested or evaluated in the same manner as scientists daily test for design in other sciences. Intelligent Design theory, like all theories of origins, is scientifically and religiously controversial. All theories of origins are scientifically controversial because they often amount to subjective historical narratives that seek to explain unobserved and unobservable singular past events that occurred many years ago and that cannot be adequately tested in the laboratory. They are religiously controversial because all religions, including non-theistic religions, depend on a particular origins narrative. Intelligent Design proponents believe institutions of science, including government agencies, public schools and universities, should strive for objectivity and academic freedom in facilitating origins teaching and research. Objectivity in the evaluation and interpretation of material evidence ensures that all evidence-based explanations for natural phenomena can be considered fairly on their respective merits, regardless of their ultimate metaphysical or religious implications. Institutions of science should promote objectivity and academic freedom, especially where minority viewpoints challenge scientific orthodoxy. Despite its many strengths, many biblical creationists, while acknowledging those strengths, criticize the Intelligent Design theory for refusing to specify the identity of the designer, refusing to bring the Christian God and the Bible into the picture, and for accepting long ages and a theistic theory of evolution. Origins science is the scientific inquiry about biological and cosmological origins. Scientists investigating such origins seek to propose explanations for the direct cause of unobserved events and processes that occurred in the very remote past that can not be duplicated under presently observable conditions and that are not amenable to experimental confirmation. Explanations can only be inferred from the evidence. Intelligent design theorists argue that the evidence naturally leads to an inference of design. Darwinists argue unguided purposeless causes despite the clear evidence of design. Because no explanation can be tested by experimental methods, the historical nature of origins science can only lead to inferences, and the question is simply which inference is most reasonable. Mayr's statement does not define "evolution", but his point is valid. More objectively, his statement should be that origins (whether cosmological or biological) are due to a historical process that cannot be proven . . . but must be inferred from observations. Thus the methods used to discern the cause of historical events and processes differ from those of inductive, experimental science, and inferences based on observations should not be limited only to inferences of unintelligent causation. As with other historical sciences like archeology, historical geology, forensics and cryptanalysis, origins science asks different kinds of questions and uses different methods than do inductive sciences. The inductive sciences, on the one hand, ask questions about how the natural world generally operates based on direct experimental observation. The historical sciences, on the other hand, use abductive reasoning that asks how certain or probable observable phenomena came to be, the answer to which often cannot be discovered through direct observation. Dr. Stephen C. Meyer fully develops this line of thought. This question reflects a narrow view of how science works. Things in science can be studied even if they cannot be directly observed or experimented on. Archaeologists study past cultures by examining the artifacts those cultures left behind. . . . Something that happened in the past is thus not "off limits" for scientific study. Hypotheses can be made about such phenomena, and these hypotheses can be tested and can lead to solid conclusions. Design detection is used in a variety of sciences including forensic science that investigates the cause of a death or fire. Design detection asks whether an effect or pattern that arose unobserved in the past is due to intelligent or unintelligent material causes. Is the pattern or effect a design or just an occurrence? Design detection is used in a variety of sciences including forensic science that investigates the cause of a death or fire. It is also used in archeology, anthropology, cryptanalysis, copyright infringement, the search for extraterrestrial intelligence and the search for function or purpose in genetic sequences. It is key to the current debate over the origin of the cosmos and life. Are these “effects” or patterns that arose long ago the product of an intelligent or material cause? Are the effects designs, i.e., the result of intelligent manipulation, or just occurrences? The question of causation turns on whether the characteristics of a given pattern or effect are within the capacity of the cause to which it may be attributable. Do unintelligent material causes have the ability or capacity to account for the occurrence of a replicating cell? Does Darwinism's unintelligent material causes, consisting of random variation and natural selection, have the capacity to account for the diversity of life once it gets started? To start the analysis, one should first compare and contrast the capacities of intelligent causes and unintelligent material causes and the kinds of patterns those capacities produce. Material causes are to nature as thoughts are to a dead man. The past, present and future is irrelevant to material causes for they can't comprehend it. Unintelligent material causes are not merely blind watchmakers, they are mindless, purposeless, and meaningless. Lacking a mind, they lack the capacity to “make” anything. Unintelligent material causes can adequately account for physical systems like the occurrence of rocks, rivers, wind and rain. However, it is not clear how they account for time-dependent living systems or themselves. The laws of motion explain that matter stays in its state of rest, or of uniform motion in a straight line, unless it is compelled to change that state by forces impressed upon it. Thus, patterns produced by material causes reflect an intersection of forces which start or stop the motion of matter. An intervening warm spell that melted a glacier carrying rocks and boulders caused them to come to rest in an unsorted pattern as glacial till. Similarly, when the Mississippi River hits the Gulf of Mexico it drops a load that forms a fan-shaped delta. The starting and stopping of matter may also be produced by interactions due to the properties of atoms, electrons and molecules. In a snowflake, the particular chemical properties of hydrogen atoms and oxygen atoms at a specific temperature and pressure, necessitate that they join together and stop in regular hexagonal lattices. Crystals of salt and other minerals “grow” through the stopping of atoms otherwise in motion until the source of new material is depleted or the conditions conducive to the growth change. With this combination of law and chance, unintelligent material causes produce patterns both random and regular. Sand dunes and snowflakes exhibit regular and periodic patterns driven by constant forces. Random patterns also arise as systems are suddenly interrupted as in the case of an auto accident or a melting glacier that drops an unsorted load. Although material causes can move matter uniformly and also start it and stop it suddenly, physical systems generally move from states of order to states of disorder per the second law of thermodynamics. Intelligent causes produced by minds are ubiquitous to the natural world. Humans have minds, as do birds and beavers. We are also finding that cellular systems appear to have a kind of internal intelligence. The immune system consists of cells that act as forward observers that look for foreign invaders. Those observers on the front line send messages to command central that develops weapons to be used to defend against the attack. Intelligent causes differ from unintelligent material causes in that intelligent causes have minds hooked up to input and output devices that have the capacity to manipulate unintelligent material causes for a purpose. Intelligent causes perceive the present, store the perception in memory to build experience and then process the experience and knowledge to predict what will occur in the future. Intelligent causes have knowledge that can be processed by processors to generate “foreknowledge,” while unintelligent material causes have neither. Intelligent causes also have the capacity to choose to change the future so that a desired or intended goal or purpose is achieved and to generate outputs efficient to achieve the purpose. Intelligent causes use unintelligent material causes and the stuff unintelligent material causes produce to make a bird's nest, a beaver's dam or an aqueduct. Patterns produced by a mind like the dam, nest or aqueduct often reflect millions of precise starting and stopping points not found in systems driven only by the uniform motion of regular natural forces, stopped only by accidental opposing forces. Patterns produced by intelligent causes integrate starts and stops for a purpose. The integration becomes clear when the pattern is both complex and useful. The integrated stopping points are evident in the case of the nest, dam and aqueduct. But for the stopping of matter at integrated precise points, the assembly would not function as a whole. This article reflects thousands of instances where matter has been started and then stopped – integrated - to produce precise, and hopefully understandable, meaning. Unlike patterns produced by the chemical and physical necessity of matter in uniform motion, designs consist of patterns of stopping points that are integrated for a particular purpose. Minds tie events together to for a purpose. Material causes do not. When the patterns are both complex and purposeful the inference to an intelligent cause is compelling. "We see that things which lack intelligence, such as natural bodies, act for an end....... Now whatever lacks intelligence cannot move towards an end, unless it be directed by some being endowed with knowledge and intelligence; as the arrow is shot to its mark by the archer." Thus design detection begins with a search for purpose. If a pattern exhibits an apparent purpose, the inquiry turns to whether the apparent purpose is just an illusion. Perhaps the pattern can be adequately explained by unintelligent material causes alone. If not, then logic suggests that mind may be the more adequate explanation for the pattern. Formal design detection is not often used. Design detection methodology is not often employed because the human mind has an inherent capacity to distinguish between patterns arranged by a mind for a purpose and those that have not. Scientists have found that minds engage in subconscious pattern matching, which is a means of intuitively distinguishing between designs and occurrences. Formal analysis is employed when a dispute arises about the cause of a pattern. Examples include investigations of deaths and peculiar fires that look for signs of murder or arson. Archaeologists debate over whether a rock is a rock or an artifact. Astronomers analyze radio and light waves in search of messages from alien minds. So far all of the tests of extraterrestrial radio waves for intelligence have been negative. The cause of life and its diversity are major areas of dispute as much is at stake. Religious and other world views depend on the best explanation for those events. Dr. William Dembski is a leading intelligent design theorist, and has written several books on the subject, including Intelligent Design: The Bridge Between Science & Theology, and The Design Inference: Eliminating Chance through Small Probabilities (Cambridge Studies in Probability, Induction and Decision Theory). Dr. Dembski has a Ph.D. in mathematics and philosophy, and an M.Div. from Princeton Theological Seminary. One of Dembski's contributions to the intelligent design movement is to set forth one method of detecting design, a method he describes as the "explanatory filter". Dembski found that all formal design detection methodologies can be reduced to three logical steps in what he refers to as an explanatory filter. The filter first asks whether a given pattern is best explained by some chemical or physical necessity or law? If not, can it be explained by chance. If chance and necessity can't explain the pattern, does it exhibit a “specification” or apparent purpose? If a complex pattern reflecting the integration of numerous stopping points does exhibit purpose and can't be explained by chance or necessity, then the scientific, logical inference to the best explanation is design. An inference of design first springs from intuition – subconscious pattern-matching that alerts the mind to a pattern that reflects a purpose or pre-existing intention. We see knives in the back of dead man and intuitively start looking for a mind that arranged the event – a suspect. If the data are strong enough common sense causes us to follow up on that lead, not ignore it. Common sense reflects a judgment about the most prudent of a set of possible choices. If the evidence leads toward design, then common sense suggests an exploration of the lead in an effort to confirm or disconfirm it. Therefore, at a basic level design detection is a matter of common sense, an intuitive determination we all make based on our everyday experiences with intelligently designed things. The intuitive, common sense approach is the primary method used by scientists such as archaeologists. No one expects an archaeologist to provide a rigorous "proof" that a pot or sculpture found in the ground is the result of an intelligent being. The archaeologist may not know who made the pot or why (and usually has no way to find out), but the fact of intelligent design is rarely in question. As in a similar concept of attaching intelligent agency to an event in law, we can rationally say res ipsa loquitur, or "the thing speaks for itself". There is no principled reason to ignore the common sense approach when it comes to living biological systems. We may not know who made living systems or why, but the fact of intelligent design can be easily and intuitively grasped. In crossing a heath, suppose I pitched my foot against a stone, and were asked how the stone came to be there; I might possibly answer, that, for anything I knew to the contrary, it had lain there forever: nor would it perhaps be very easy to show the absurdity of this answer. But suppose I had found a watch upon the ground, and it should be inquired how the watch happened to be in that place; I should hardly think of the answer I had before given, that for anything I knew, the watch might have always been there... There must have existed, at some time, and at some place or other, an artificer or artificers, who formed [the watch] for the purpose which we find it actually to answer; who comprehended its construction, and designed its use... Every indication of contrivance, every manifestation of design, which existed in the watch, exists in the works of nature; with the difference, on the side of nature, of being greater or more, and that in a degree which exceeds all computation. Scientists who hold Darwinism dogmatically object to the common sense approach, not based on the fact of design, but on the metaphysical implications of considering true, intelligent design. Attempting to conflate the "what" of design with the "who" in biological systems is the tactic of those philosophically opposed to a supposed supernatural designer, i.e., those who fear a "divine foot in the door" of science. But such fear should not be tolerated by true scientists; design can be detected independent of any inquiry into the identity of the designer. Imagine archeology being rejected as science because there is absolutely no way to identify the designer of a clearly designed pot; such notions should be rejected by true scientists. Permitting the logical, common sense inference of intelligent design in the face of material evidence of design should be expected of honest scientists. Virtually all scientists, including evolutionists, observe design in nature. Fossils exhibit design. Living body plans exhibit design. Micro-biological features such as DNA exhibit design. The evidentiary question is not a question of the existence of design in nature, but the cause of design in nature. Only two causes are available to explain the design evident in nature: unintelligent causes and intelligent causes. Unintelligent causes include the natural actions of physics and chemistry, operating alone by natural laws in space and time. Unintelligent causes cannot produce true design, so Darwinists dismiss the evident design in nature as merely the "appearance" of design. Intelligent causes include the actions of an intelligent agent (which may be unknown, such as in anonymous works of art, or in archeological finds) manipulating physics and chemistry to create something that physics and chemistry alone cannot. Only intelligent causes can produce true design. The question is not, therefore, "is there evidence of design in nature?" Rather, the scientific question is, "Based on the evidence of design observed in nature, what causes best explain design?" Framed this way, potential explanations, or theories, are not limited by a predetermined bias, such as only unintelligent causes (e.g., Darwinism) or only intelligent causes (e.g., creationism). The question simply asks, "in accordance with the scientific method, what causes can be logically inferred from the evidence?" With the proper question in mind, it is easy to see that virtually all the evidence used to support Darwinism is equally evidence in support of Intelligent Design. Cosmological evidence for design is described at Evidence for intelligent design in cosmology section. Biological evidence for intelligent design includes general evidence and special evidence, and both are discussed at General and Special Evidence for Intelligent Design in Biology. For all material evidence, the evidentiary value can be determined by use of the Evidence Filter. There is a strong body of evidence for a Designer that comes from the fine-tuning of the universal constants and the solar system. The anthropic principle states that the reason the constants of nature appear so finely tuned to life, is that if it were otherwise, life such as ourselves would not have developed. Hence we should not be surprised that the laws of physics are enable life such as ourselves to exist. Former atheist Sir Fred Hoyle states, "commonsense interpretation of the facts is that a super-intelligence has monkeyed with physics, as well as chemistry and biology, and that there are no blind forces in nature." Forensic scientists use design detection when they consider observable evidence of an historic unrepeatable event such as a crime. Intelligent design detection is uncontroversial in many well-accepted scientific disciplines. In each of the scientific disciplines listed below, scientists evaluate the evidence objectively, that is, there is no pre-determined rule of interpretation that dictates that only unintelligent causes can be considered. Forensic sciences: Forensic scientists use design detection when they consider observable evidence of an historic unrepeatable event such as a crime. For example, a forensic investigator investigating a death uses scientific evidence to determine whether the death was caused by unintelligent causes (i.e., by accident), or by intelligent causes (i.e., murder). Archeology: Archaeologists are virtually dependent upon the science of design detection. Working with present-day evidence left from the past, archaeologists seek to determine whether artifacts were caused by unintelligent causes (i.e., clay) or intelligent causes (i.e., a clay pot). Cryptanalysis: Cryptanalysis is the scientific endeavor of code breaking. Code breakers examine the observable evidence of a string or pattern of characters to determine if it contains a message or if it is simply a string of random, meaningless characters. Arson investigation: Arson investigators observe evidence and attempt to explain the cause of a fire; was it caused by unintelligent causes (i.e., accidental ignition), or by intelligent causes (i.e., arson). Search for Extraterrestrial Intelligence: The name says it all. These scientists are observing evidence in the form of radio signals to determine if the signals are the result of unintelligent causes (i.e., background radiation in space), or by intelligent causes (i.e., extraterrestrial intelligence). Each of the above scientific disciplines utilize design detection to determine if the cause of observed evidence is due to unintelligent or intelligent agency. Usually, such as in the case of archaeologists observing clay pots, the detection and determination of design is intuitive and assumed without further justification. No rigorous analytical method is required of archaeologists to support a finding of design; nothing beyond the simple, rational recognition of what is consistent with the human experience of intelligent design is necessary. The Privileged Planet is an intelligent design theory documentary which argues that the earth contains a rare and finely-tuned array of factors which makes earth suitable for complex life. The proposal that first life came about through natural processes has not fared well in recent times. The prominent origin of life researcher Stanley Miller said the origin of life problem was more difficult than he or anyone else had imagined. Implications of scientific explanations of origins unavoidably impact religion, ethics, morality, government and politics. The implications of materialistic explanations (such as Darwinism) of origins support the central tenets of non-theistic religions, while the implications of teleological explanations (such as Intelligent Design) support the central tenets of theistic religions. Both theistic and non-theistic religions and worldviews address questions of ethics, morality, government and politics. Paul-Henri Thiry, Baron d'Holbach (1723 - 1789) was an early advocate of atheism in Europe. Therefore, it should not be surprising that most theists are sympathetic to intelligent design because the science of intelligent design supports the theology of theistic religions like Christianity. Likewise, it is not surprising that virtually all atheists are Darwinists because the science of Darwinism supports the theology of non-theistic religions such as religious humanism (having a theology of atheism). The simple fact is that worldviews and interpretations of evidence go hand in hand. If, for example, your world view prohibits explanations involving intelligent design, then you will reject intelligent design in spite of the evidence, not because of it. Institutions of science should ignore religious and ethical implications of competing historical hypotheses and strive for objectivity in the conduct and teaching of origins science. Institutional objectivity may be achieved by encouraging healthy competition among scientists holding differing scientific views regarding origins, consistent with the scientific method. The adequacy of scientific explanations of origins depends on an analysis of competing possibilities. Origins explanations use a form of abductive reasoning that produces competing Historical Hypotheses, that lead to an inference to the best current explanation rather than to an explanation that is logically compelled by experimental confirmation. Due to inherent limitations on the experimental validation of historical hypotheses, testing requires rigorous competition between alternative hypotheses so that their relative strengths and plausibilities may be compared. While competition among multiple hypotheses decreases subjectivity, it may nevertheless result in no adequate current explanation. The Intelligent Design Movement’s motivation appears to be the desire to challenge the blind acceptance of the materialistic, godless, naturalistic philosophy of Darwinian evolution. They confront many of the philosophical underpinnings of today’s evolutionary thinking. As a movement, they are unwilling to align themselves with biblical creationism. Acceptance of ID thinking en masse could just as easily lead to New-Age or Hindu-like notions of creation, as well as weird alien sci-fi notions. In such instances, a Christian might well see that the metaphorical exorcism of one socio-philosophical demon would have achieved merely its replacement by others, possibly worse. There is no philosophical answer to their opponents’ logically-deduced charge that the Designer was monstrous and/or inept (‘look at all the horrible, cruel, even defective things in the living world’), since bringing up the Fall is deliberately, tactically excluded. (However, the Fall was a major event in history, that changed everything. The world we are looking at now is a world that has been corrupted by sin, not the original world that God designed). Thus, the movement’s success could very likely even be counterproductive, by laying the Biblical God open to ridicule and contempt in new ways. In addition to the fair criticisms listed above, biblical creationists also criticize the intelligent design theory for continuing to accept long ages and the theory of evolution along with the existence of some designer. Intelligent design theorists appreciate the criticisms of creationists such as Purdom and Wieland, and, in fact, most intelligent design theorists are creationists themselves. And while most intelligent design theorists would agree with Dr. Purdom that the Creator and his creation "reflect on each other," they would disagree that "the Creator and His creation cannot be separated." The "separation" is epistemological, that is, there is a distinction between how one can know anything about the creation versus the creator. Just as a painter can be separated from a painting, so that the painting is labelled "anonymous", and just as an archaeologist can infer a designer of a clay pot without knowing the designer's actual identity, the fact of a creator in nature can be determined scientifically, but the specific creator cannot. Intelligent design theorists recognize that the scientific method places limits as to the kind of knowledge that can be determined scientifically. Intelligent design theorists hold that intelligent design is a logical inference based on observation of material evidence in nature. That is, intelligent design can be determined as a matter of science alone in full accord with the scientific method. But science can say little about who the designer is. David DeWolf, John West and I also address this issue in our recent Montana Law Review article: It is important to stress that the refusal of ID proponents to draw scientific conclusions about the nature or identity of the designer is principled rather than merely rhetorical. ID is primarily a historical science, meaning it uses principles of uniformitarianism to study present-day causes and then applies them to the historical record in order to infer the best explanation for the origin of the natural phenomena being studied. ID starts with observations from “uniform sensory experience” showing the effects of intelligence in the natural world. As Pandas explains, scientists have uniform sensory experience with intelligent causes (i.e. humans), thus making intelligence an appropriate explanatory cause within historical scientific fields. However, the “supernatural” cannot be observed, and thus historical scientists applying uniformitarian reasoning cannot appeal to the supernatural. If the intelligence responsible for life was supernatural, science could only infer the prior action of intelligence, but could not determine whether the intelligence was supernatural. Further, it appears that Dr. Weiland's concern that "[a]cceptance of ID thinking en masse could just as easily lead to New-Age or Hindu-like notions of creation, as well as weird alien sci-fi notions" is unfounded. Certainly some who are honestly convinced of true intelligent design might entertain "sci-fi notions," but the evidence supports the opposite—i.e., those convinced of design are more likely to entertain thoughts of a supernatural God. Like Aristotle of ancient Greece, those who reasonably and honestly are convinced of true design in nature are more likely to follow the pattern Dr. Pordum highlighted from Romans 1:18-20. That is, the creation speaks to a supernatural, infinite, eternal creator. The goal of the Intelligent Design Movement is to achieve an open philosophy of science that permits consideration of any explanations toward which the evidence may be pointing. One early sign of the way the world is headed came in December 2004, when there was much comment in newspapers and internet discussion groups about famed atheist philosopher Anthony Flew. Flew had just announced that he had converted to philosophical theism (though not to Christianity or any other specific religion, at least as yet), on the basis of scientific discoveries and related reasoning, which had convinced him that there is an intelligent designer of the natural universe. Flew seems to have investigated the phenomenon of design in the natural world for reasons similar to my own. He wanted to decide for himself whether evidence and logic point in the direction of a creating intelligence, or whether God is nothing more than a subjective idea created by human imagination. Perhaps these questions about the reality of god are religious in nature, but they are important questions that deserve to be investigated dispassionately instead of being barred from consideration because powerful groups define “science” as committed a priori to naturalism. Intelligent design theorists leave the identity of the designer open as a matter of scientific discipline. Even though everyone, including creationists must rely on special revelation (i.e., the Bible) to know specifics about the designer, everyone can know the fact of design based on general revelation (i.e., nature). Many scientists object to intelligent design on the basis that intelligent design "is not science." The validity of this objection depends on what is meant by the terms "intelligent design" and "science". If "science" is defined objectively (as in Websters dictionary: 3 a: knowledge or a system of knowledge covering general truths or the operation of general laws especially as obtained and tested through scientific method b: such knowledge or such a system of knowledge concerned with the physical world and its phenomena.) and "intelligent design" is defined as in this article, then intelligent design is clearly, without question "science", and the objection of methodological naturalists is overcome. The term "methodological naturalism" describes a form of science in which science is assumed to be necessarily practiced as if naturalism were itself true (see also scientific materialism). Of course, "naturalism", which is a philosophy that holds there is no immaterial substance in the universe, i.e., all is matter alone, is an assumption-based philosophy. "Naturalism", like "materialism" as a philosophy holds that there is no supernatural in the universe, no spirit, no soul, and, of course, no God. Methodological naturalists are scientists that, while perhaps not themselves being full-fledged naturalists (although growing numbers are), insist that science be practiced as if naturalism were true. If this method of practicing science is adhered to, then intelligent design cannot be science, because intelligent design posits the possibility of a supernatural designer. 1. Science is the activity of seeking explanations for natural phenomena. 2. Science is the activity of seeking only natural (i.e., unintelligent) causes as explanations for natural phenomena. The first definition above is an objective, bias-free definition, for which intelligent design qualifies as science. However, the second definition above is one in which the objective definition has been qualified by the term "natural", which assumes there are natural, i.e., unintelligent, causes for natural phenomena. The second definition is the definition that methodological naturalists insist be adopted as the definition for science. However, the "natural causes alone" criteria for gaining scientific knowledges is based upon an assumption that there is a natural cause for all natural phenomena. If intelligent design is true, scientists operating by the second definition above will never be able to come to the truth. The insistence on only "natural causes" imports a philosophical bias into the objective definition, which is then defended based not on knowledge, but an assumption. Therefore, methodological naturalists "define out" of science intelligent design based on a philosophical assumption. The simple response to methodological naturalism, which is the only principled basis for excluding intelligent design from science, is that methodological naturalism improperly and unnecessarily restricts the realm of science. By any objective definition of science, including dictionary definitions, intelligent design is science. But the controversy begs a larger question. Historically, the practice of science can be considered in two broad categories. First there is the inductive method espoused by Francis Bacon. Bacon pioneered the modern notion that science should let "evidence lead the inquiry" and "general axioms ought to be the end, not the beginning, of the scientific process." Bacon specifically formulated his scientific method to ensure that religious speculation (including speculation about naturalism) was excluded from the scientific process. Thus, Bacon's scientific method proceeded based on observations of nature, and logical inferences derived from those observations. Second, there is the deductive method espoused by René Descartes. Descartes argued that science needed mechanical, or naturalistic, descriptions that could explain, rather than merely label, the effects. According to Cornelius Hunter, in his book Science's Blind Spot, the Unseen Religion of Scientific Naturalism, Descartes proposed a method of science in which "What science needed were naturalistic descriptions, even if they were not known to be true explanations. Thus, Cartesian explanations were hypothetical; Descartes argued that having a plausible yet incorrect description was better than no description at all." Therefore, whether or not intelligent design is "science" depends on what approach one takes to science. If one takes the Baconian approach, letting the evidence lead the inquiry without presuppositions, intelligent design is science. Moreover, if one takes the Cartesian approach, intelligent design of biological systems can still be science; it depends on what hypothetical constraints are put upon scientific inquiry. Methodological naturalists place the "natural causes only" constraint on all scientific inquiry, and, therefore, define out of science the notion of any non-natural designer. Intelligent design theorists maintain that the "natural causes only" constraint might be correct for operational science, but for historical sciences in which one is attempting to reconstruct a historical narrative based on present-day evidence, such a constraint does not make sense. For one thing, intelligent design theorists maintain that there is a difference between inductive and/or deductive sciences (each of which can be used in experimental sciences), and the "historical sciences". Intelligent design is scientific in both inductive and historical sciences (and deductive, without limiting biases), but can have its greatest value as a historical science. The broad categories of "experimental sciences" and "historical sciences" ask different kinds of questions and use different kinds of methods. The inductive sciences, on the one hand, ask questions about how the natural world generally operates. The historical sciences, on the other hand, ask different kinds of questions. Rather than trying to understand how the natural world operates, the historical sciences seek to understand how things came to be. Dr. Stephen C. Meyer develops this line of thought fully in an article entitled Science and the Laws of Nature. With respect to hypothesis testing, see, Carol Cleland, Historical Science, Experimental Science and the Scientific Method, (Geology, November 2001, Vol. 29, No. 11, 987-990). The fact is that historical sciences operate by different methods, including different methods of testing, than do experimental sciences. Historical sciences attempt to construct a historical narrative to explain current observed phenomena. The only way to "test" historical narratives is by comparing with competing historical narratives to see which one more closely aligns with the observed phenomena. Intelligent design, therefore, is not only science, but as a competing historical narrative, it is a valuable scientific challenge to the naturalistic historical narrative of Darwinism. Without it, Darwinism ceases being science, and becomes an unchallengeable dogma. Modern intelligent design theory is simply a response to the resurgence of dominant materialistic thought, primarily as expressed by institutions of science such as universities and various academies of science. As Nancy Pearcey states: "By tracing the debate over Darwinism all the way back to Epicurus (a Greek materialist) we can place the theory in a much larger context. Darwinism was not entirely new, invented out of whole cloth." Likewise, the modern intelligent design movement can be placed in a larger context as a challenge to modern materialistic thought as enforced in modern science. Beckwith, Francis J. Law, Darwinism, and Public Education: The Establishment Clause and the Challenge of Intelligent Design. Lanham, Md., 2003. Behe, Michael J. Darwin’s Black Box: The Biochemical Challenge to Evolution. New York, 1996. Dawkins, Richard. The Blind Watchmaker: Why the Evidence of Evolution Reveals a Universe without Design. New York, 1986. Forrest, Barbara. “The Wedge at Work: How Intelligent Design Creationism Is Wedging Its Way into the Cultural and Academic Mainstream.” In Intelligent Design Creationism and Its Critics: Philosophical, Theological, and Scientific Perspectives, edited by Robert T. Pennock, pp. 5–53, Cambridge, Mass., 2001. Giberson, Karl W. and Donald A. Yerxa. Species of Origins: America’s Search for a Creation Story. Lanham, Md., 2002. Hunter, Cornelius G. Darwin’s God: Evolution and the Problem of Evil. Grand Rapids, Mich., 2002. Manson, Neil A., ed. God and Design: The Teleological Argument and Modern Science. London, 2003. Miller, Kenneth R. Finding Darwin’s God: A Scientist’s Search for Common Ground between God and Evolution. San Francisco, 1999. Rea, Michael C. World without Design: The Ontological Consequences of Naturalism. Oxford, 2002. Witham, Larry. By Design: Science and the Search for God. San Francisco, 2003. Woodward, Thomas. Doubts about Darwin: A History of Intelligent Design. Grand Rapids, Mich., 2003. Larry Witham provides the best overview of intelligent design, even-handedly treating its scientific, cultural, and religious dimensions. As a journalist, Witham has personally interviewed all the main players in the debate over intelligent design and allows them to tell their story. For intelligent design’s place in the science and religion dialogue, see Giberson and Yerxa. For histories of the intelligent design movement, see Woodward (a supporter) and Forrest (a critic). See Behe and Dembski to overview intelligent design’s scientific research program. For a critique of that program, see Miller. For an impassioned defense of Darwinism against any form of teleology or design, see Dawkins. Manson’s anthology situates intelligent design within broader discussions about teleology. Rea probes intelligent design’s metaphysical underpinnings. Hunter provides an interesting analysis of how intelligent design and Darwinism play off the problem of evil. Beckwith examines whether intelligent design is inherently religious and thus, on account of church-state separation, must be barred from public school science curricula. “ Along with the absurd stereotype that support for ID is limited to right-wing fundamentalist Christians … there’s also the Darwinist agitprop point that advocates of the theory are rare outside the United States. Hardly! An unacknowledged strength of the ID movement is its international character. Asia is an up-and-coming ID hot spot, as ENV has reported. See here for Signature in the Cell and Explore Evolution [links omitted for Discoveroid books] in their recent and handsome Korean editions. Europe and Asia aside, how about Brazil? From South America’s most populous nation, accounting for half the continent’s total population, comes news of the First Brazilian Intelligent Design Congress, scheduled for November 14–16 this year at [details of the event]. Intelligent Design: The Scientific Alternative to Evolution. Written by William S. Harris and John H. Calvert (of Intelligent Design Network, Inc.), this article is a one-stop mini-compendium on what intelligent design is, what it claims, and why it's important. The Evolution Controversy: Understanding the Basic Issues in the Debate Between Biological Evolution and Intelligent Design. By Jody F. Sjogren, Robert P. Lattimer, and Douglas D. Rudy, and presented by Science Excellence for all Ohioans (SEAO). Read and understand this and you will, as the title says, understand the basic issues. 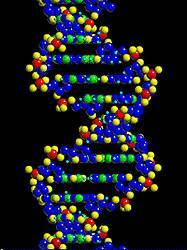 Intelligent Design: The Origin of Biological Information and the Higher Taxonomic Categories. By Stephen C. Meyer of the Center for Science & Culture, this article first appeared in the peer reviewed Proceeding of the Biological Society of Washington, August 20, 2005. Dr. Meyer argues that no current materialistic theory of evolution can account for the origin of the information necessary to build novel animal forms. He proposes intelligent design as an alternative explanation for the origin of biological information and the higher taxa. The Center for Science and Culture is a Discovery Institute program that encourages schools to improve science education by teaching students more fully about the theory of evolution, as well as supporting the work of scholars who challenge various aspects of neo-Darwinian theory and scholars who are working on the scientific theory known as intelligent design. In addition to scientific research and scholarship, the Center's Evolution News and Views blog presents analysis of that relevant news coverage, as well as original reporting that accurately delivers information about the current state of the debate over Darwinian evolution. A related website, intelligentdesign.org provides up-to-date information and learning resources. The Access Research Network (ARN) is a non-profit organization dedicated to providing accessible information on science, technology and society. ARN's articles and publications cover a host of issues which focus on such topics as intelligent design theory, genetic engineering, euthanasia, computer technology, environmental issues, creation/evolution, fetal tissue research and medical issues. ARN provides information needed to orient one's self in today's scientific and technological world in order to make informed decisions. Intelligent Design Network, Inc. is a nonprofit organization that seeks institutional objectivity in origins science. Objectivity results from the use of the scientific method without philosophic or religious assumptions in seeking answers to the question: Where do we come from? The Intelligent Design Network produced a Statement of Objectives  regarding origins science. The Statement acknowledges that explanations of the origin of the universe and of life and its diversity are scientifically controversial. Further, due to its controversial nature, Origins Science requires a scientific enterprise guided by 'scientific objectivity rather than a preconceived view of origins, whether Materialistic (e.g., Darwinism) or Teleological (e.g., creationism). For this reason, according to the Statement, government and public education institutions supporting Origins Science should strive for objectivity as they inform the public about the state of our scientific knowledge regarding origins. The Intelligent Design and Evolution Awareness (IDEA) Center is a non-profit organization dedicated to promoting intelligent design theory and fostering good - spirited discussion and a better understanding over intelligent design theory and the creation - evolution issue among students, educators, churches, and anyone else interested. The Center's primary focus is to help students form "IDEA Clubs" on university and high school campuses. Intelligent Design's "Super Blog", ID the Future offers podcasts as part of its mission of exploring the issues central to evolution and intelligent design (ID). IDTF provides listeners with the most current news and views on evolution and ID through brief interviews with key scientists and scholars developing the theory of ID, as well as insightful commentary from Discovery Institute senior fellows and staff on the scientific, educational and legal aspects of the debate. The intelligent design weblog of William Dembski, Denyse O'Leary, and friends, Uncommon Descent holds that... Materialistic ideology has subverted the study of biological and cosmological origins so that the actual content of these sciences has become corrupted. The problem, therefore, is not merely that science is being used illegitimately to promote a materialistic worldview, but that this worldview is actively undermining scientific inquiry, leading to incorrect and unsupported conclusions about biological and cosmological origins. At the same time, intelligent design (ID) offers a promising scientific alternative to materialistic theories of biological and cosmological evolution—an alternative that is finding increasing theoretical and empirical support. Hence, ID needs to be vigorously developed as a scientific, intellectual, and cultural project. Denver-based Real Science Radio has interviewed a dozen scientists and scholars associated with Seattle's Discovery Institute including Paul Nelson, Stephen Meyer, Richard Sternberg, Ann Gauger, and Doug Axe, all listed on RSR's single Intelligent Design page. Toronto-based Denyse O'Leary's blog, covering the intelligent design movement from a journalist/author's perspective. The Discovery Institute's Center for Science and Culture "Essential Readings" list includes links to books and articles by leading intelligent design proponents. Books available from Access Research Network's book catalog and videos/tapes (including DVD's) include the latest information on the subject of intelligent design. ↑ As used in this article, "materialism" is used synonymously with "naturalism". Naturalism is a philosophical doctrine that material causes alone are adequate to account for all natural phenomena and that teleological (design) conceptions of nature are invalid. ↑ For example, Stephen C. Meyer, Senior Fellow of the Center for Science and Culture at the Discovery Institute, notes at A Note to Teachers Stephen C. Meyer and Mark Hartwig, Pandas and People: The Central Question of Biological Origins May 1, 1993, the problem with limiting explanations to only "natural" causes: "Archaeologists routinely distinguish manufactured objects (e.g., arrowheads, potsherds) from natural ones (e.g., stones), even when the differences between them are very subtle. These manufactured objects then become important clues in reconstructing past ways of life. But if we arbitrarily assert that science explains solely by reference to natural laws, if archaeologists are prohibited from invoking an intelligent manufacturer, the whole archaeological enterprise comes to a grinding halt." ↑ 8.0 8.1 Whitcomb, John C., Ph.D. (2006). The History and Impact of the Book, "The Genesis Flood". ICR.org (from Acts & Facts. 35 (5)). Retrieved October 26, 2016. ↑ 9.0 9.1 Purdom, Georgia, Dr. (May 6, 2010). Chapter 13 - Is the Intelligent Design Movement Christian?. Answers in Genesis (from The New Answers Book 2). Retrieved October 25, 2016. ↑ Ernst Mayr, What Evolution Is (New York: Basic Books, 2001); back cover, quote attributed to John Maynard Smith. ↑ Ernst Mayr, What Evolution Is, (New York: Basic Books, 2001), p. 12. ↑ Ernst Mayr, Darwin’s Influence on Modern Thought, p. 80, (July 2000, Scientific American) emphasis added. ↑ "Evolution" is in quotes because one of the problems faced in debating "evolution" is the lack of a precise definition. If "evolution" is used to mean "micro-evolution" (minor changes like finch beak variation observed within some species), then "evolution" is uncontroversial. However, if (as Mayr intends, but does not state) by "evolution" is meant "unguided, purposeless processes to produce new and beneficial changes in living systems", then Mayr is correct -- "evolution" is not experimentally confirmable, and, exactly like Intelligent Design, can only be inferred from observations. ↑ As noted above, with respect to Mayr's statement, "evolution" is in quotes here again because the NAS fails to use the term with a precise meaning. If "evolution" is used to mean "micro-evolution" (the minor change like finch beak variation, usually inconsequential, but observed within some species), then of course "evolution" is scientific and verifiable by experimentation. However, if by "evolution" is meant "unguided, purposeless processes to produce new and beneficial changes in living systems", then "evolution" is not experimentally confirmable, as the NAS notes. However, as the NAS notes, such lack of being able to be experimentally confirmed does not remove a hypothesis from the realm of science (otherwise, as the NAS confirms, "evolution" would not be science). ↑ Teaching about Evolution and the Nature of Science Washington DC, National Academy Press, (1998), p. 55. ↑ Carol Cleland, Historical Science, Experimental Science and the Scientific Method (Geology, November 2001, Vol. 29, No. 11), pp. 987-990. ↑ Carol Cleland, Historical Science, Experimental Science and the Scientific Method (Geology, November 2001, Vol. 29, No. 11) p. 988. ↑ “Darwin's immeasurably important contribution to science was to show how mechanistic causes could also explain all biological phenomena, despite their apparent evidence of design and purpose. By coupling undirected, purposeless variation to the blind, uncaring process of natural selection, Darwin made theological or spiritual explanations of the life processes superfluous. ......Darwin undid the essentialism that Western philosophy had inherited from Plato and Aristotle, and put variation in its place. He helped to replace a static conception of the world with the vision of a world of ceaseless change. Above all, his theory of random, purposeless variation acted on by blind, purposeless natural selection provided a revolutionary new kind of answer to almost all questions that begin with "Why?" It cannot be sufficiently emphasized that before Darwin, both philosophers and people in general answered "Why?" questions by citing purpose. Only an intelligent mind, one with the capacity for forethought, can have purpose. Thus questions like "Why do plants have flowers?" or "Why are there apple trees?"? or plagues, or storms? were answered by imagining the possible purpose that God could have had in creating them.” Douglas J. Futuyma, Evolutionary Biology, Third Edition,(Sinauer Associates, Inc. 1998) p. 5, 8. ↑ St. Thomas Aquinas, The Summa Theologica, (1265-1274). ↑ The term "evolutionist" is used in its "strong form" to describe those who hold and defend the position that all the variety of life is the result solely of naturalistic processes. Therefore, the term refers to those who rule out any intelligent causation for any aspect of life (if intelligence plays any role whatsoever, then whatever the theory, it is a form of intelligent design). While everyone is an "evolutionist" if "evolution" is defined in its weak form as simply "change over time" or "micro-evolution" such as finch beak variation, not everyone is an "evolutionist" if "evolution" is used, as herein, to mean "unguided, purposeless processes to produce new and beneficial changes in living systems". Evolutionists who oppose Intelligent Design believe that unintelligent processes of physics and chemistry can explain the creation of every novel and beneficial feature of the various species, including wings, eyes, and brains. Darwinism is the leading naturalistic evolutionary theory, holding that all life forms descended as modified forms of previous life forms in an unguided, unintelligent process, i.e., Darwin's "descent with modification". ↑ One should not make the mistake of equating "religion" with only traditional theistic religions like Christianity, Judaism, or Islam. As used herein the term is used as defined in the Statement of Objectives Regarding Origins Science: Religion: A broad range of theistic and non-theistic religions and religious belief systems. ↑ Non-theistic religions are religions and belief systems that presuppose that no God intervenes in the natural world and that material causes, such as unguided evolutionary change, are adequate to explain natural phenomena. Non-theistic religions include atheism, Secular Humanism, and Scientism, as well as some forms of Buddhism and other eastern religions. By way of example, the Humanist Manifesto I sets forth the first two "affirmations" of religious humanism as "FIRST: Religious humanists regard the universe as self-existing and not created; and, SECOND: Humanism believes that man is a part of nature and that he has emerged as a result of a continuous process." Thus, Darwinism supports the central tenets of a religious belief. ↑ Objective: Not influenced by personal bias or prejudice; based on facts. An objective position is one that is Secular, Neutral, and Non-ideological. ↑ http://www.discovery.org/scripts/viewDB/index.php?command=view&id=4306, citing David K. DeWolf, John G. West, and Casey Luskin, “Intelligent Design Will Survive Kitzmiller v. Dover,” 68 Montana Law Review 7, 30 (Spring, 2007) (internal citations removed). ↑ See, Cornelius G. Hunter, Science's Blind Spot, the Unseen Religion of Scientific Naturalism, (Brazos Press, 2007), p. 15. ↑ See, Hunter, p. 17. This page has been accessed 237,141 times.